Representative McGrady joined House Speaker Tim Moore and Senate Leader Phil Berger this afternoon at a joint press conference to announce details of the $21.735 billion budget agreement reached by members of the House and Senate this past weekend. As one of the “big chairs” of the House Appropriations Committee, Representative McGrady was one of just a handful of legislators in the 170-member General Assembly who negotiated the details of the complex budget legislation. The compromise plan includes a responsible 3.1 percent spending increase, invests hundreds of millions of additional dollars in public education and other core priorities and shores up the state’s rainy day and repair and renovation funds by $600 million. The plan increases early-career teacher pay to from $33,000 to $35,000 per year, fulfilling a promise made by state leaders last year. And over two years it preserves funding for driver education and for all teacher assistant positions supported in last year’s budget, requiring school systems to use the funds for those jobs. The budget also invests an additional $705 million over two years for transportation needs, in part by ending a $216 million transfer from the Highway Fund to the General Fund and ensuring that money is finally spent on building and maintaining safe roads and bridges. 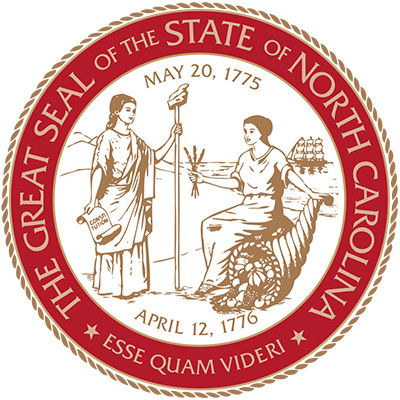 Finally, it contains a comprehensive tax reform package that reduces the tax burden on North Carolina families and small businesses by close to $400 million over the next two years and fully restores the state tax deduction for medical expenses. The plan also extends Historic Preservation Tax Credits. What follows is a summary of the top-line highlights of the proposed budget agreement and highlights within each area of the budget (Tax Package, Education, Health & Human Services, Transportation, Agriculture & Natural Resources, Salaries & Benefits, Justice & Public Safety, General Government, Statewide Reserves, and other areas). You can view the actual legislation at this link and the so-called “money report” here. Returns $10 million each year of the biennium to Golden L.E.A.F. from Master Settlement Agreement funds. Provides funds for Worker’s Compensation payments to accurately reflect projected spending. Establishes a new Department of Military and Veterans Affairs. No extension of the Solar Tax Credit or R&D Tax Credit. Increase capacity of training for medical residents, with a focus on primary care and general surgery. Provides the State Board of Education authority to consolidate county school districts that share a border. Directs the State Board of Community Colleges and the State Board of Education to develop a program for delivering mandatory college developmental math, reading and English classes in high schools in the senior year for students who do not meet certain readiness criteria. The program is to be implemented in the 2016-17 school year. Funds veterans’ tuition with $9 million recurring to meet costs of complying with federal directives regarding the provision of in-state tuition for eligible non- resident veterans. Requires the UNC System and Community College System to coordinate in a study to create a deferred admission program. The program is designed to divert academically at-risk students into the Community College System, with a guaranteed acceptance into a UNC campus upon completion of an associate’s degree. The program is required to be implemented in FY 2016-17. Training for Paramedics for Behavior Health diversion. Provides funds to improve State Medical Examiner system. Eliminates 50 Raleigh-based, non-field positions. $1.3 million department-wide Department of Environment and Natural Resources (DENR) administrative cut. Increases General Fund appropriation to National Guard Pension Fund. Funds for Managed Cell Access System to deter the illegal smuggling and use of cell phones by inmates. Governmental Budgetary Transparency/Expenditures Online to ensure an open, transparent, responsible state government. $225 million over the biennium for a Medicaid Transformation Reserve. Will be used for when the State transitions to fee-for-service to capitation under Medicaid reform. Job Maintenance and Capital Development Fund (JMAC) funded on recurring basis; $6.9 million in FY 2015-2016 and $7.5 million in FY 2016-2017.